Diamond Head worked with Parastone to develop a new neighbourhood vision and physical design for the “Coal Creek lands,” based on an in-depth inventory of physical features, recreational opportunities, local market conditions and community fit. The new master plan was developed in concert with the new project brand “MONTANE,” referencing the defining experiences and features of mountain living. 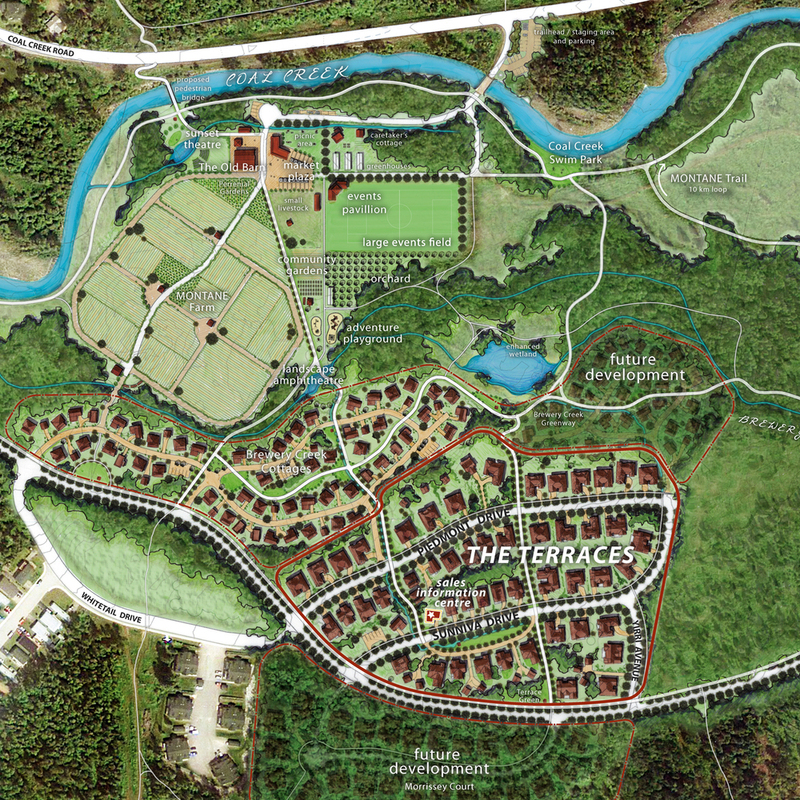 Overall neighbourhood design was driven by the development of the MONTANE trail network and opportunities for additional community programming at the Old Barn. Clusters of homes relate to a series of neighbourhood greenways and the defining views of the Three Sisters, Mount Fernie and Mount Hosmer, all within a short walk of Fernie’s historical downtown. For more information, visit www.montanefernie.ca.